Consistently the most visible part of your body, your face endures regular exposure to the elements and a range of chemicals present in make-up and dirt as well as toxins in the air. Aside from your usual cleansing and beauty routines, X5 Cuts facials cleanse and refresh by going deep within your pores to remove dead skin, leaving it smooth and rejuvenated. For skin that looks and feels fresh, consult with an experienced X5 Cuts esthetician by calling to book an appointment. Regular facials are one of the most important and satisfying esthetic services available to maintaining good skin, self-confidence and overall health and well-being. 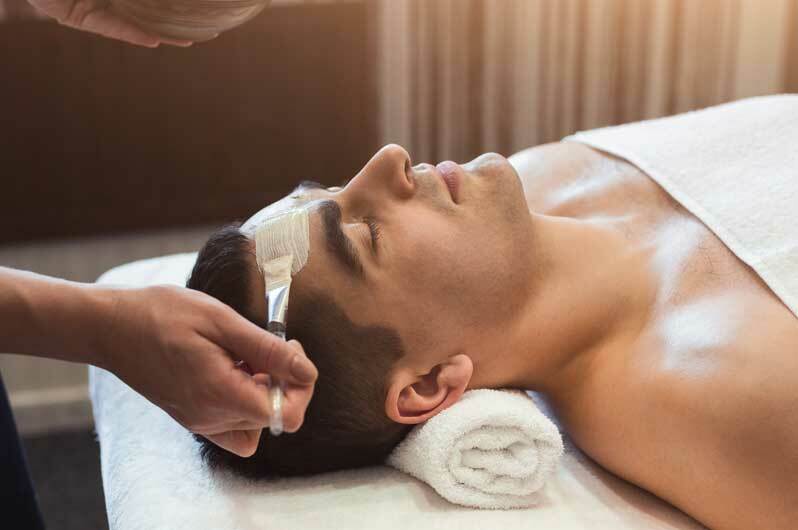 A X5 Cuts facial gently exfoliates your skin to eliminate blackheads, skin discoloration and reduce fine lines that may begin to appear around eyes, cheeks and chin. Although aging is inevitable, beautiful looking skin is always within your reach. Regular visits to our salon for “express” facial treatment services will result in a marked improvement in the appearance of your skin. X5 Cuts estheticians use a specialized formula from a selection of superior skin care products to remove dead skin cells and excess oil to begin with. After oil extraction a mask is applied for toning and moisturizing to reduce excess oil and breakouts. Professional performed facials are similar to a regular fitness regime for your skin. Contact a X5 Cuts expert to learn more.